Life gets a lot more interesting when there’s a cat around. Consider yourself lucky if you own a cat with a personality that’s as huge as that of Tardar Sauce’s (aka Grumpy Cat.) Even if you don’t, their demanding but endearing ways will soon melt down your walls and get to you. As a result, cats have people making them all sorts of stuff, from iPad games for cats to the Cat Tunnel Sofa. Another thing to add to that list is Kitty-Casso. 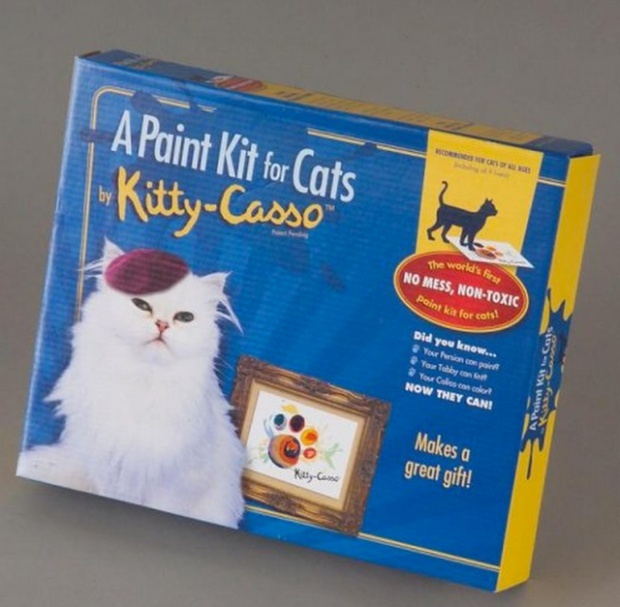 In case it isn’t obvious enough to you, Kitty-Casso is a paint kit for cats. 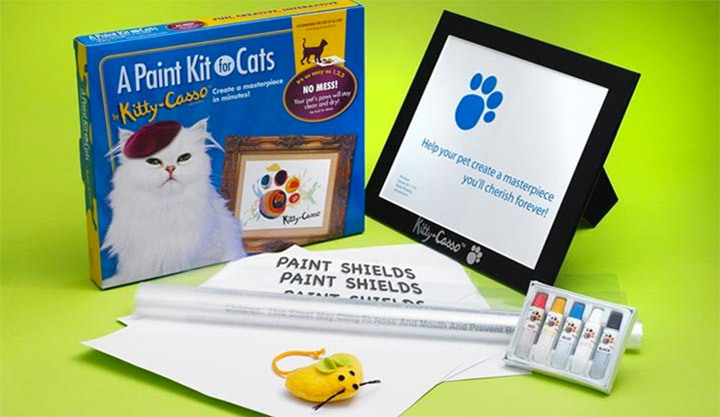 It contains five tubs of non-toxic acrylic paint, art paper, paint shields, one frame, and of course, a surprise toy for your cat. Now I don’t think your kitty cat will know what you expect him to do after smearing his paws with paint, but hey, here’s to hoping that he’ll surprise you pleasantly and not make too big of a mess. And there’s always an outside chance he’ll create a masterpiece and you can sell it to a wealthy benefactor. 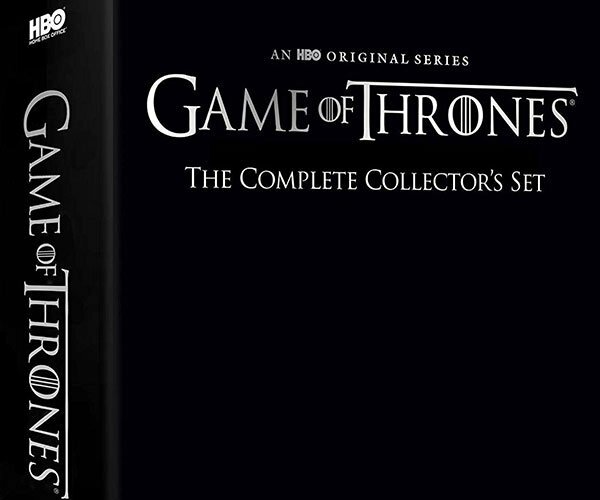 Kitty-Casso is available at Amazon for $19.95(USD). And dog owners, don’t feel left out – they also make Pup-Casso for your anipals.